These are just a handful of the topics that 25 participants researched over the course of the past two years as part of Bridging the Two Cultures of Science and the Humanities, the latest science and religion research endeavor from Scholarship & Christianity in Oxford (SCIO), the UK subsidiary of the CCCU. Made possible by a grant from the Templeton Religion Trust, the project’s goal was to develop participants’ interdisciplinary skills in science and religion. 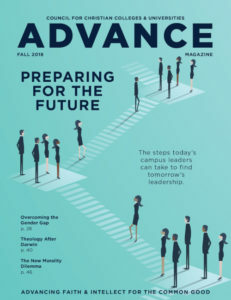 Prior to the project’s launch, the SCIO staff conducted an extensive study (“Balancing Perspectives,” funded by the John Templeton Foundation) to determine the best ways to achieve a lasting impact on CCCU campuses – not just for the faculty involved, but for their students and for their administrators as well. “Armed with that data, we planned a seminar focused not only on the research needs of the faculty – which is of course vital – but also the ways to enhance activity on CCCU campuses that would encourage faculty in their work and help students and senior campus administrators to understand the central issues and substantial opportunities that science and religion discussions pose,” says Stan Rosenberg, SCIO executive director and the project director of Bridging the Two Cultures. Theologians, philosophers, and social and natural scientists from around the globe met for a month each summer in 2015 and 2016 amongst the rich historic venues of the University of Oxford, where they participated in workshops, spent time working on their research, and were individually mentored by senior scholars in the field. In addition, participants had the opportunity to hear lectures and interact in extended question-and-answer sessions with eminent scholars such as Alister McGrath (Andreas Idreos Professor of Science and Religion and director of the Ian Ramsey Centre at Oxford), David Livingstone (professor of geography and intellectual history at Queen’s University Belfast), Elaine Ecklund (professor of sociology at Rice University and founding director of the Religion and Public Life Program), and John Hedley Brooke (Andreas Idreos Professor Emeritus of Science and Religion at Oxford). Hans Madueme, assistant professor of theological studies at Covenant College in Lookout Mountain, Georgia, says the decision to take up the opportunity to be part of a science and religion seminar with other scholars outside his own discipline was a “no-brainer.” After all, such experiences are hard to find. Interdisciplinary study has repeatedly proven to be an effective tool in the science and religion seminars that SCIO has held over the years, Rosenberg says. For April Maskiewicz, associate professor of biology at Point Loma Nazarene University in San Diego, California, the relationships she formed with colleagues working in such fields as chemistry, philosophy, cognitive science, psychology and earth science have greatly enhanced her own understanding of science and religion. For Bernard Boyo, dean and professor of Bible and theology at Daystar University in Nairobi, Kenya, the seminar provided the opportunity to study a topic very close to home: ethnomedicine and faith-based healing among the Maasai community. A unique and intentional aspect of Bridging the Two Cultures was the emphasis on bringing students into the discussion and including some of them in the research. Participants were given funds to start science and religion clubs on their campuses and to hire students to assist in their research. That enjoyment of discussion and discovery has spread beyond the student clubs. In Bogotá, Colombia, Gómez says the support given to him has enabled him to gather with not only students but also colleagues from other nearby universities. Students from the participants’ home campuses were not the only ones to engage with the project. 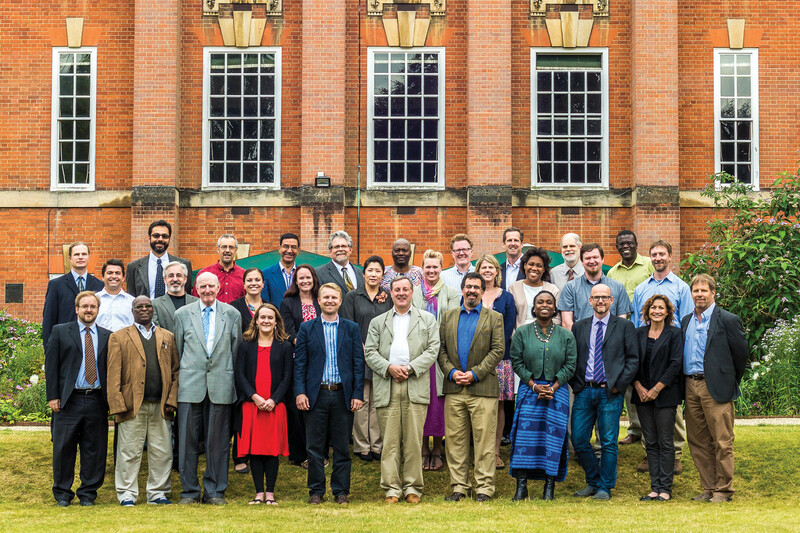 At the end of the seminar’s 2016 summer meeting, nearly all of the presidents of the participants’ institutions traveled to Oxford for a three-day roundtable. The gathering included a series of lectures by Alister McGrath and David Livingstone, a performance and accompanying panel discussion of the play Mr. Darwin’s Tree, and panel discussions where both presidents and participants could explain what they wish the other party knew about their respective concerns on science and religion. The first iteration of Bridging the Two Cultures ends in December 2016, but thanks to the unequivocal success of the program, a new set of faculty in the sciences and humanities will soon have an opportunity to participate in the next Bridging the Two Cultures seminar, which are scheduled to begin in 2018. “We are delighted that plans are in motion for SCIO to host another seminar, which gives us the opportunity to advance these important conversations and research opportunities that examine the interwoven relationship between science and religion and the world-impacting issues that they directly shape,” Rosenberg says. In order to facilitate better research for the participants, the project will provide funds so that the participants can have a second course release – one paid for by the institution and one paid for by the grant. Funds will be provided for the participants’ research assistants to study topics connected to science and religion at one of the two BestSemester programs hosted at SCIO, the Scholars’ Semester in Oxford or the Oxford Summer Programme. The grant will provide funds for the purchase of books for participants outside North America to help them both in their research and in building a robust library for their campuses. “Our goal for this colloquium is to provide an opportunity to help faculty and these key stakeholders develop understandings for addressing science and religion concerns on campus, as well as enhance their support of each other,” Rosenberg says. Morgan C. Feddes is the CCCU’s communications specialist and managing editor of Advance and eAdvance.